Rabies Testing Prevents Medical Treatment for Exposed Individuals | Live Healthy S.C.
Rabies is a deadly animal virus that attacks the nervous system of mammals. Any animal that has either hair or fur, and gives birth to live young is a mammal, which includes humans. The virus can be passed to a healthy animal or a person by bite, scratch, or fresh, wet saliva from a rabid animal that comes in contact with an open wound or mucous membranes, such as eyes, nose, and mouth. 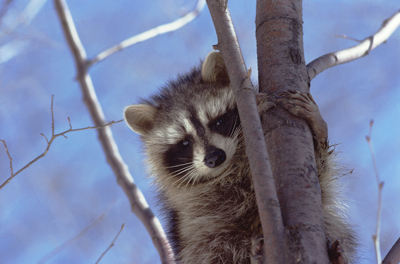 In South Carolina, rabies is most often found in raccoons, foxes, skunks, and bats. About 275 South Carolinians must undergo preventive treatment for rabies every year, with most exposures coming from bites or scratches by a rabid or suspected rabid animal. Wild animals contract the disease most often, but domestic pets can become infected with the rabies virus as well. Wild animals don’t make suitable pets due to the lack of approved rabies vaccines to protect these animals and the people who keep them. There was a recent case in which a caged raccoon had bitten two people. Sometimes, getting individuals to release their animals for testing can become difficult, because the animal must be euthanized in order to be tested. But thanks to the great work from environmental staff in DHEC’s Lowcountry Region who worked closely with the raccoon’s owner, this particular raccoon was tested for rabies – and was negative – thus saving two individuals from receiving post-exposure prophylaxis, a preventive medical treatment started immediately after exposure. DHEC is proud to promote and protect the health of the public and the environment. For more information on rabies, please visit DHEC’s website. This entry was posted in Community Health, Disease Control, Environment and tagged Rabies, raccoon on June 12, 2015 by SC DHEC.